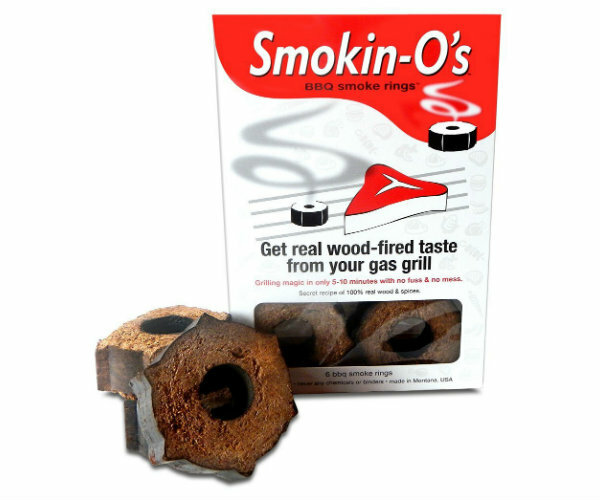 Get real wood-fired taste from your gas grill with Smokin-O’s smoke rings. They give chicken, beef, fish, pork, steak, and veggies a kiss of real wood smoke. Simply place the ring directly on your gas grill as you preheat the grill. In 5-10 minutes it will begin to smoke. Once smoking, turn your grill down to normal cooking temperature, place your food on the grates next to the Smokin-O, close the lid and grill like normal. The rings are made of apple wood and spices.